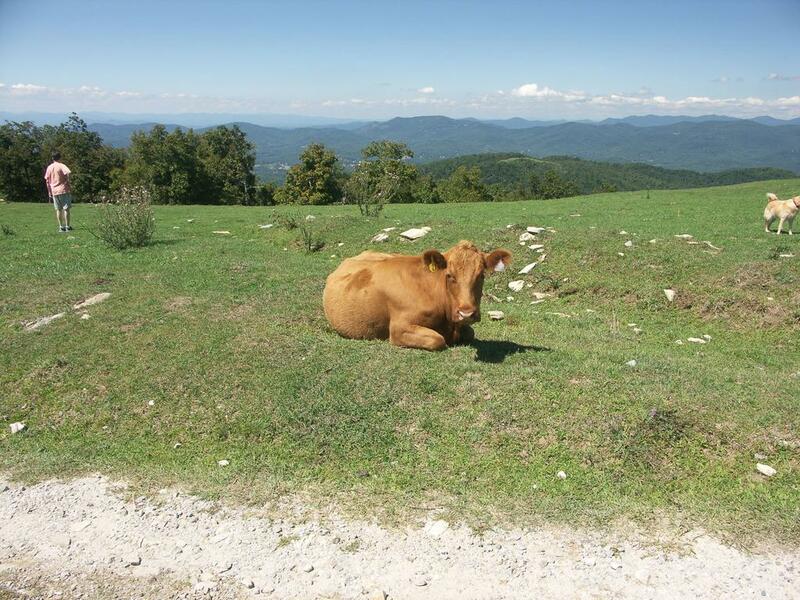 Cow #27 was relaxing beside the road to the summit on Bearwallow Mountain on this day. And why not? It's a wonderful place to hang out and relax, after all!